Entrepreneurs often find themselves wondering what to do next. As an entrepreneur, what can you do to boost your business in the coming year? What moves can you make to take your business to the next level? As you might imagine, the best moves to make depend largely on where you are right now, and what your business goals happen to be. However, there are a few things that you can do as an entrepreneur to lay a foundation for future success. 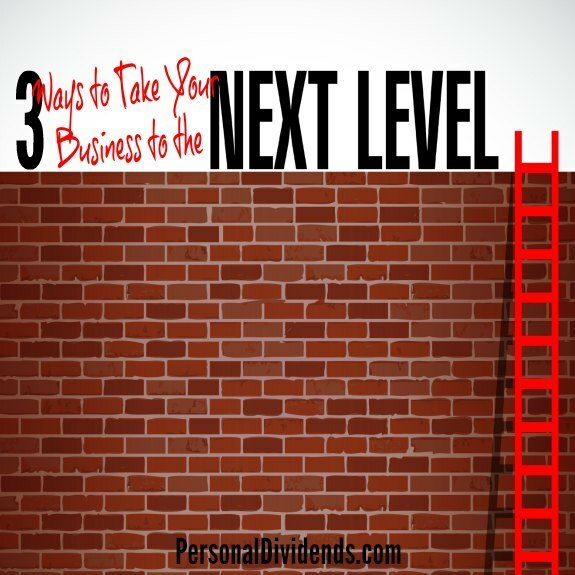 Here are 3 ways to take your business to the next level this year. Many entrepreneurs have a hard time letting go of some of their tasks. However, once you reach a certain point in your business, the reality is that you shouldn’t be doing everything. If you want to take your business to the next level, you might need to be willing to outsource some of your more mundane tasks. Outsourcing can help you boost your productivity. Some of these items cost more than others to outsource. If you have a limited budget, consider which items are the biggest drain on your time and energy, and then outsource those. You might even consider getting a virtual assistant, just to help with a variety of tasks. Getting rid of the most tedious of tasks can put you on the right path to focusing on the big picture things that really matter. It’s always a good idea to build your network. Make a point to network in the coming year. You never know what connections you will make when you get involved with networking. Your network can include potential partners and clients, as well as associates that might be able to help you down the road. You can network online, through social media and other channels, and you can also network in person. Attend conferences and network with people in your particular field. You can also network in person by attending local business events and seminars, and meet other business owners in different fields. This type of networking can help you meet others who understand what you are going through, and who might be able to offer good ideas for the future. Even if you don’t partner with someone you meet while networking, you can still benefit by sharing ideas and building connections. Sometimes, I find myself trying out all sorts of new things for my business, or focusing on all the wrong things. My attention is spread out, and I find myself trying to do too much — and not accomplishing very much at all. Instead of dividing your attention among tasks and ideas that might not be very profitable, use the Pareto Principle to better focus on what matters and improve your productivity. The Pareto Principle says that 20 percent of your efforts produce 80 percent of your results. In order to take your business to the next level in the coming year, you need to identify what tasks provide the best bang for your buck. Which items are giving you the best return. This can be important, since it helps you narrow your focus so that you can figure out what is most vital to your situation and your business. You don’t need a huge list of goals and ideas for the new year. Your business is far more likely to succeed if you identify the most important goal and then focus on that. Evaluate your business and then figure out what you can work on for the best chance of success. If you’re ready to make your business a priority in the new year, and re-energize your efforts, these three tips can help you take your business to the next level. What are you doing for your business this year? Do you know how you plan to increase your success in the coming months? Someone said to me once to write down my three priorities then throw away #2 and #3. Focus on the one priority and you’ll get to the destination sooner and help you then move onto #2. All resources, focus and time should go to one area. Ha! That’s a good idea. So figure out which way you want to focus, and then pick that. Then, once you have the most important thing taken care of, you can move on to something else. That’s an interesting look at becoming too dependent on any one client. In some ways, what works for many other businesses (bigger businesses with products) may not work quite as well for those of us who are solopreneurs that provide services (like writing).